Celebrating Indian culture is a way of life at most international universities. And it is a formative element of a student's experience abroad. Read more below. To most students, an international education means GPAs, foreign cultures, strange people and bland food. But that’s a notion far removed from reality. Being an Indian student far away from home can also mean Khel Night if you’re at the University of Toronto and being a part of its Dil Se fest, or playing a cricket tournament if you’re at the University of Massachusetts-Amherst. And of course there are Bollywood nights, Diwali jashns, and Desi nights. Suddenly, India doesn’t seem too far away after all. These events are organized by Indian student associations at various universities. And just as you focus on attending classes, writing your assignments, and doing well academically, you should make the time to be a part of the clubs and societies at university as well. We’ll tell you why. For one, it is these extracurricular activities that make your degree an education and more than just an academic qualification. Students develop higher-order skills such as team work, time management and communication. These skills distinguish a student in the job market, and later, at the workplace. Two, indulging in group activities induces a sense of belonging and creates a supportive network. Three, as students become aware of cultural similarities and differences, they develop critical thinking as well as tolerance. And finally, it’s fun. Even from a university’s perspective, the diversity of its student body is of paramount importance. International Outlook is one of the 13 calibrated indicators used by the Times Higher Education towards determining its world university rankings. In more practical terms, a diverse student body helps universities with funding, which in turn enables them to recruit quality faculty and improve research standards. But attracting international students is not enough. The next step is to integrate them with domestic students and create a bond which lasts well after they graduate. One way to do this is by celebrating their cultures and traditions. And this is mainly done through student societies. For example, at Oxford University. The Oxford India Society was established as recently as 2003. This is interesting considering that the university itself was founded sometime in the twelfth century and has enrolled Indian students since 1871. The Oxford India Society is an active student run body, which believes in the philosophy of “vasudhaiva kutumbakam” – the whole world is one family. It hosts seminars and fundraisers along with social and cultural events. 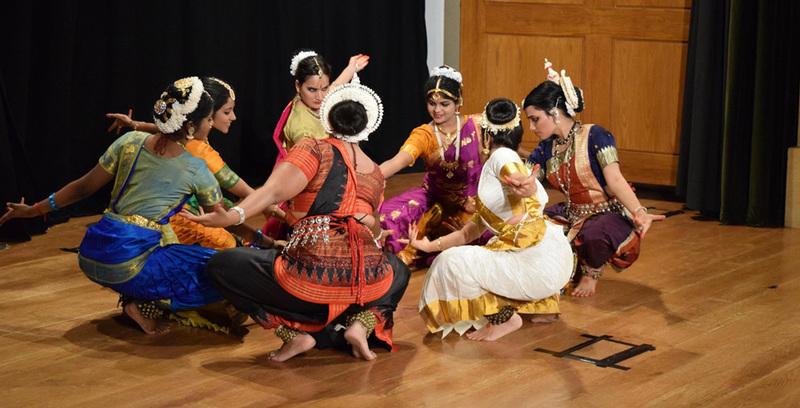 In May, the society organized the Oxford Odissi Fest at Magdalen College in collaboration with the Oxford Odissi Centre. The themes of the performances were freedom and happiness, explored through the classical dance forms of Mohiniyattam, Kathak, Bharatnatyam and Odissi. Then there is Penn Masala. Along with The Wharton School, Noam Chomsky and John Legend, it is one of the University of Pennsylvania’s many claims to fame. So what is Penn Masala? It is the world’s first South Asian a cappella group. A cappella is solo or group singing unaccompanied by instruments. Penn Masala was founded in 1996. Its constitution is constantly evolving as student members graduate and new ones join in. Although the group frequently sings in Hindi, not all its members are of Indian descent. Penn Masala has even performed at the Filmfare awards and released nine studio albums. It has also toured internationally. Being a member of such a group can be quite the feather in any student's cap. Watch the video of the group performing a track from its ninth album - Resonance. The video has more than a million views on YouTube – a testament to the group’s brilliant success. Another award winning Indian cultural club is Stony Brook University’s Bhangra team. The university places great emphasis on student life and has more than 300 clubs and societies. Stony Brook hosts a series of events such as a month long Chill Fest at the start of its spring and fall semesters, the Roth Pond Regatta, and the Stony Brook concert series. The Bhangra team believes in a “celebration of life” and performing with a smile. Watch this video of Sumeet Bhinder, who is also a member of the team, talk about how the team is evolving and how it aims to participate in the national dance competition soon. Any fun clubs or societies that you would like to mention? Or any aspect of the college experience you would like us to write about? Let us know in the comments section below.